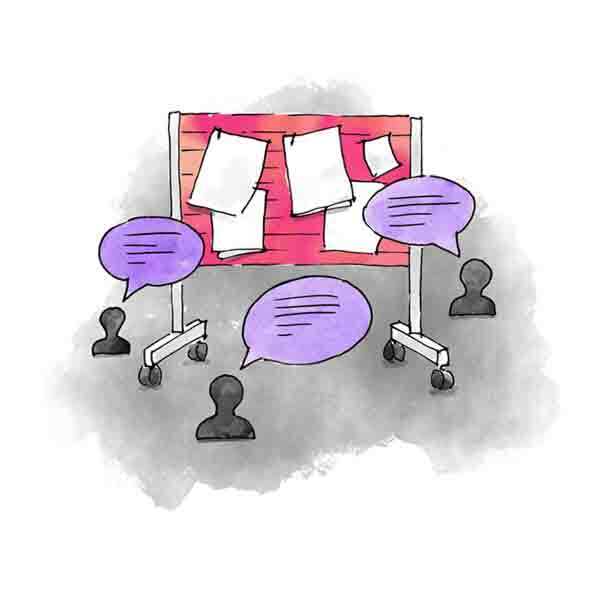 Upcoming events, training, changes, new products, contracts, procedures... with board, you can easily share your ideas and start a company-wide discussion. Sortio lets anyone share their ideas. 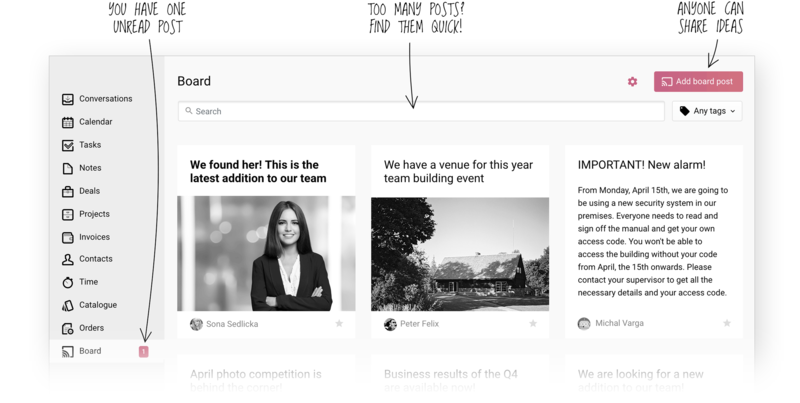 Board in Sortio is great for sharing information across your company. Anyone can share anything with anyone. The post will immediately be published and easily accessible at all times. 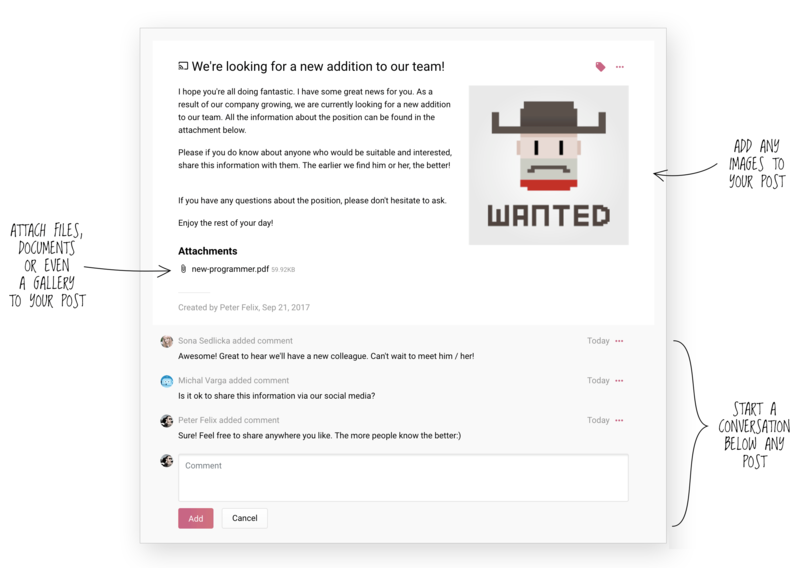 Sortio lets you discuss things with your team. Want to get feedback from your teammates? Ask them to share their thoughts on board.